Research indicates that soldiers struggling with PTSD under-utilize mental health care. 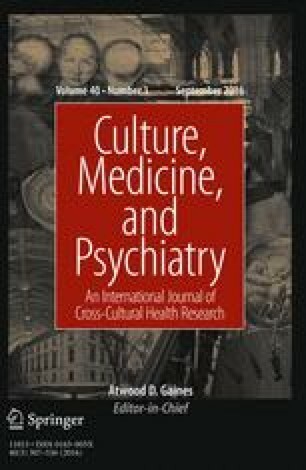 Quantitative studies of barriers to care point to the importance of soldiers’ beliefs about mental health and mental health interventions in their care-seeking behavior, yet these studies still struggle to understand the particular beliefs involved and the ways they impact care-seeking behavior. This preliminary study makes a start in examining these questions through qualitative literature analysis. It maps out dominant messages surrounding PTSD in military mental health interventions, and explores how they can both shape and conflict with soldiers’ personal notions. It does so by analyzing these messages and notions as institutional and personal (illness) narratives. Institutional military PTSD-narratives, which draw on mainstream scientific and clinical models, appear to communicate contradictory notions on the meanings of violence and its psychological consequences, often without acknowledging these contradictions. As such, these narratives seem to shape struggles of soldiers, both within themselves and with the military institution. The identified conflicts indicate, contrary to the individualizing and decontextualizing focus of dominant PTSD-understandings, that soldiers’ struggles also have social and moral dimensions. This has important implications for both research into PTSD-interventions and understandings of PTSD as such. Tine Molendijk declares that she has no conflict of interest. Eric-Hans Kramer declares that he has no conflict of interest. Désirée Verweij declares that she has no conflict of interest. WRAIR Land Combat Study Team 2006 Battlemind Training I: Transitioning from Deployment to Home [Instruction Guide]. http://www.ptsd.ne.gov/pdfs/WRAIR-battlemind-training-Brochure.pdf, accessed February 20, 2015.